Large cities are often the mecca of the tourism industry. Every year people from all over the world travel to see attractions like the Statue of Liberty or the Golden Gate Bridge. However, something interesting is happening in the world of tourism – the flourishing of small town destinations that allow small businesses all over the country to thrive in the tourism industry. 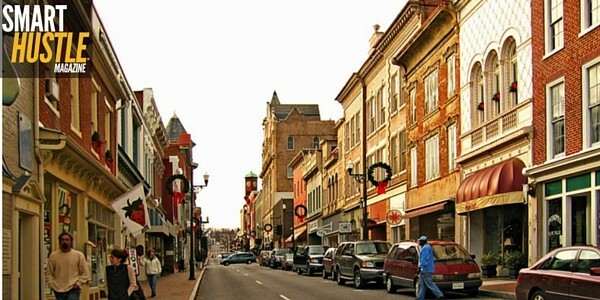 Infogroup recently released some research on the top small town tourist destinations. It demonstrates that small businesses can flourish in the tourism industry even if they live in small towns like Sevierville, Tennessee or Branson, Missouri. Clearly, tourism isn’t just for big cities anymore. In short, not only do these small towns have a high concentration of hotels, they also have a high concentration of the other establishments that are staples for tourism. Using this data, Infogroup could then identify the top 5 small town tourist destinations. So which towns made the final list? Here is a breakdown of the top 5 town micro areas and their tourist draws. The number one small town tourist destination is Sevierville, TN. Situated in the mountains, it offers scenic views and family fun in nearby destinations like Pigeon Forge and Gatlinburg. Attractions like Dollywood theme park, The Titanic Museum, and Ripley’s Aquarium make it a top destination for families looking to get away. Branson is a hotspot for live music. In 1991, the show 60 Minutes named it the “live music capital of the Universe” and while some of the theaters have closed, the town still focuses on upcoming live shows and vacation packages. Silver Dollar City is a large theme park that brings in visitors too, as does Kanakuk Kamps which brings in tourists for survival, scuba diving, and aviation camps in the summer. Astoria is a mix of history and cinematography, bringing a diverse group of tourists to the area. Astoria has a place in history as the first permanent settlement on the Pacific Coast, and other historical landmarks such as Fort Clatsop and Fort Astoria bring in history lovers. Astoria is also a destination for people who love film. Many movies including The Goonies, Free Willy, and Kindergarten Cop were filmed there and Astoria is also home to the Oregon Film Museum. Newport is a professional destination because it is home to the Hatfield Marine Science Center, a hub for aquatic research and the National Oceanic and Atmospheric Administration (NOAA) laboratories. Tourists also visit the area to relax and unwind at the Chinook Winds Casino Resort and the many beautiful beaches. The Jackson WY-ID micro area includes Yellowstone National Park and Grand Teton National Park. With over 18 million acres for hiking, camping, skiing, fly fishing and other outdoor activities, it makes sense that lodging is a focus for this micro area. Visitors who travel to this area want to escape the cities and experience nature at its finest. Infogroup’s list shows us that there are plenty of smaller towns that are thriving in the tourist industry, and you can visit Infogroup to discover which other places made the list. Offering a range of entertainment, music, history, amusements, nature and adventure, these towns represent important opportunities for small business owners who are eager to join the tourism industry even though they don’t live in a large city. Jennifer has a Masters in Sociology from the University of Notre Dame. She is currently working as a freelance writer, editor, blogger and researcher. You can connect with her on Twitter via @JenPeaslee.